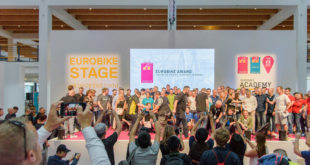 The ninth Eurobike Awards are calling for entries to be submitted before July 22nd. 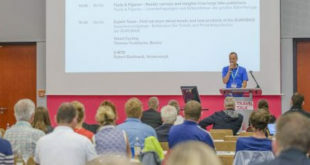 Open to non-exhibitors and exhibitors alike, the awards – hosted by Messe Friedrichshafen and organised by global design organisation iF – and Gold winners will be announced at Eurobike, which runs from August 28th to 31st. Entries can be accepted in a number of categories including a special Green Award to a product sporting high ecological values. 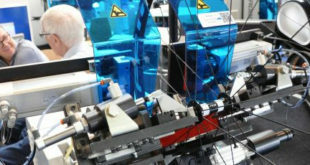 A panel of hand-picked experts will make their decisions in Hannover over August 13th and 14th. 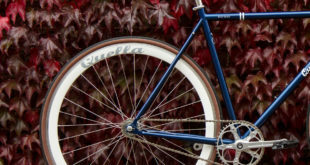 Criteria: Aerodynamics, Efficiency, Ergonomics, Functionality, Weight, Utility, Design Quality, Degree of Innovation, Comfort, Load6 Carrying Capacity, Brand Value/Branding, Choice of Material, Service, Safety, Stability, Environmental Compatibility and Workmanship. The Awards Ceremony will take place during at EUROBIKE Show in the Foyer East/Friedrichshafen Exhibition Grounds on 28 August.